As a business owner, if you ask me where I belong, I would tell you we belong to the cloud. Oh did I say it wrong? I meant crowd! No! I think I was right. It is cloud. 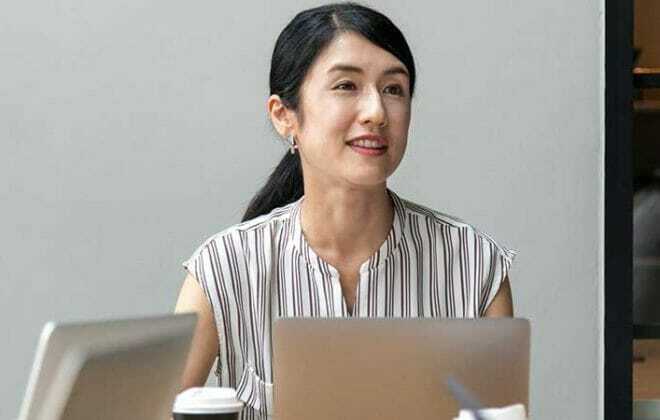 All businesses are rapidly migrating to cloud for faster and easier access to their company data, which they further use for team communication and get top of the fly insights to make important business decisions. 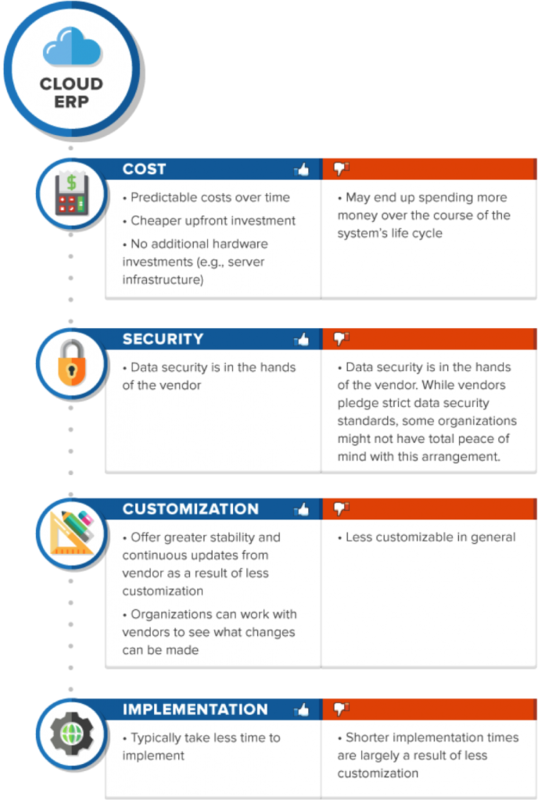 But when it comes to cloud ERP, the definition becomes a bit sketchy, both from architectural perspective and functional scope. I came around this article on Software Advice which comprehensively compares Cloud ERP with On-premise ERP. But I am going to talk about it briefly in this article. We wanted to delay our audit filing, because I thought that our on-premise system is getting too old and outdated… everyone needed to take turns logging into the software… our team’s speed was affected since two people couldn’t see the data at one time… If I needed a file, I needed to log in that particular system and get it… it gets under your skin pretty quick you know. Real-time access is something that helped me access that data whenever and wherever I want. Inputting data is not going away (or is it?). But storing data at multiple places is something that must go away. Recently, I just stole a look at my company data and found 10 spreadsheets staring at me… Download this, export this, use this formula and what not… When we found a client who wanted to get their software bug-tested, answering questions became difficult. “How many bugs did your team find in the last week? “Can I see a report?” We simply couldn’t do that just by tracking everything in Excel. Google Adwords isn’t the only lead generation platform for us now. With fancy robust reporting, and itinerary showed in more fancily, we were actually flying. I think it’s helped us in the sales process of getting future clients. At Business Tech Summit 2017 held last month, prominent industry leaders were stressing the importance of software automation and its impact on the BPO industry. In the process, a few names were raised and Orgzit was one of them. “Technology is the precursor and enabler to BPO industry’s growth. 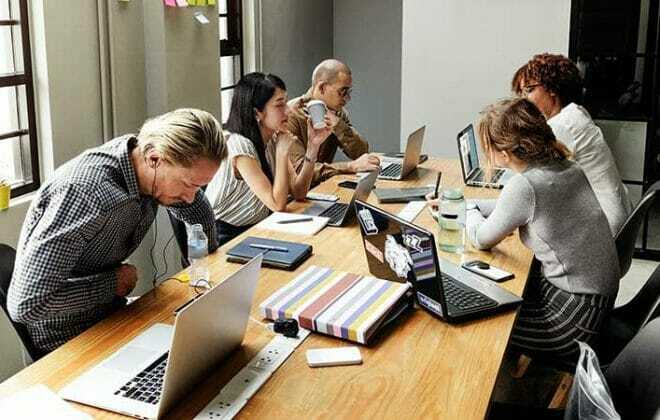 Faster data accessibility and ready-to-use cloud apps will not only bolster your productivity output but also add that last mile of effort that can help you take your business to the next level.” says Pavan Verma, CTO, Orgzit. You can hear more from him here. Each year, employees are having a gala of a time picking their favourite tool for their multiple business needs. Because of this, the SaaS owners have started prioritizing UI more than ever. White labelling is becoming more of a SaaS thing than customization. It comes with a click of a button. It has been amazing… Right now, it’s probably 90% better… My clients are planners… travel nerds… they love to see the itinerary on the app we use… They also start getting inquisitive, and actually provide valuable feedback through it “When did Mark leave for New Delhi? Looks like India Gate is much fun, is that included in your package?” They love to see the price of every travel pack right there, in their hands. They can see everything. I will be very direct. Our finance team has expressed some level of comfort with the recent migration. They crib less and work more. They get so involved in building custom reports & dashboards that lunch is no more a pass time. I am looking for new work friends now. On a whole, I think cloud ERP business is going the right way. Let’s wait till the end of 2017 and see what most small and medium businesses are using. If you liked this write up, go ahead and give Orgzit a try. People have said a lot of nice things about it. You might too. 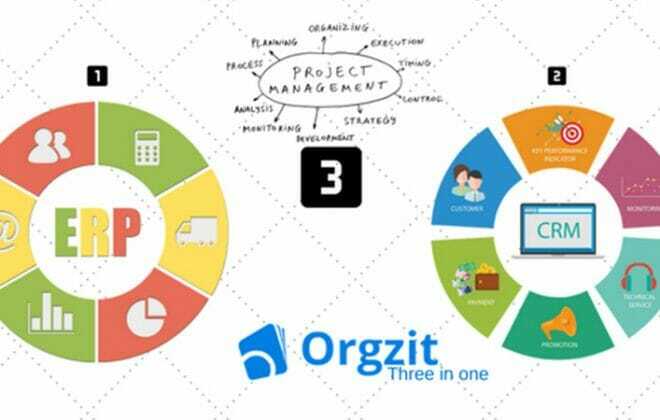 Check out this blog to get a better idea of how powerful is Orgzit and what are its salient features.